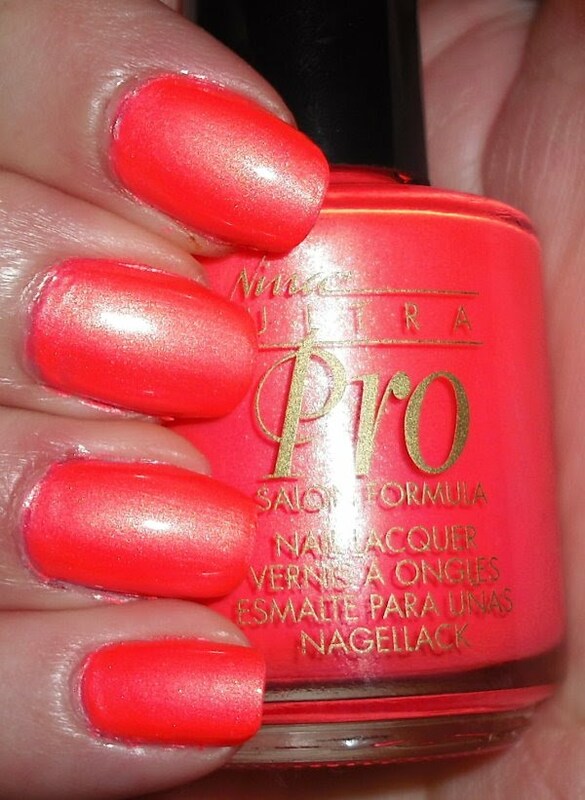 Say Cheese is a bright neon warm-toned pink with slight silvery shimmer throughout. I really love this shade. This past summer I think I went a bit overboard on wearing cremes. I'm a little bored buy cremes right now, so this neon shade plus the shimmer is exactly up my alley these days! This went on nicely with 3 coats. Plus, it was $2 in the clearance section at Sallys, so I can't argue! - Nail Polish- does this need an explanation? -Holiday Season- I like the smells, the pretty decorations, the lights, it actually being COOLER outside! -My boyfriend- He's very sweet and I always count on him. I love just doing nothing with him and laughing at stupid silly things. -Kathy Griffin-I love how she shameless self promotes herself and says exactly what is on most peoples mind. She cracks me up all the time. I'd love to see one of her shows. + and of course I tag anyone else who wants this award/tag too! Wow, that is BRIGHT. Thanks for the tag! yeah i wish i was a little like that kathie lady..
i feel i'm like that kenneth guy from 30 rock! i can't stop being nice! though!! That is so bright! Its so perfect for summer! I love it.